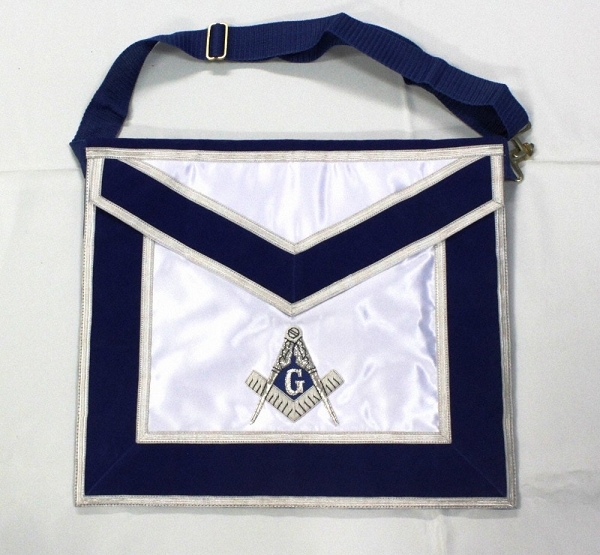 Masonic Blue Lodge Member Apron with Silk background. 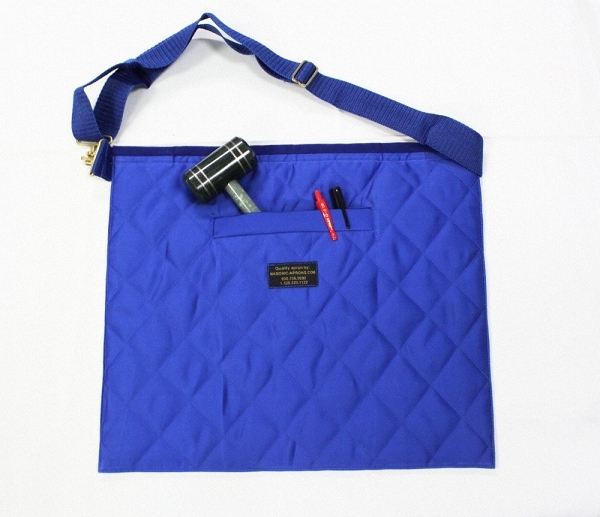 Sleek, stylish, crisp, and elegant are just a few words to describe our Blue Lodge Member Apron. Hand stitched and crafted apron that will function perfectly as an "everyday" type apron at Masonic events. The suede blue border represents the beauty in simplicity. The silver stitching around the border adds extra contrast to makes this apron "pop" from any other apron on the market today! 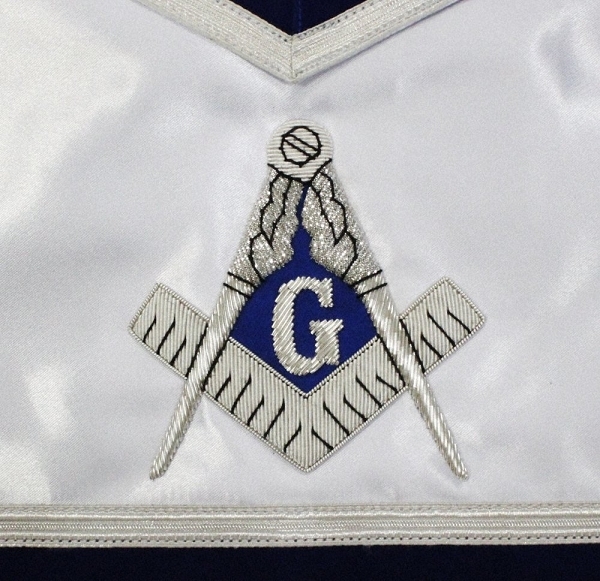 The hand stitched emblem illustrates the classic Square and Compasses with "G" located at the center of the emblem. 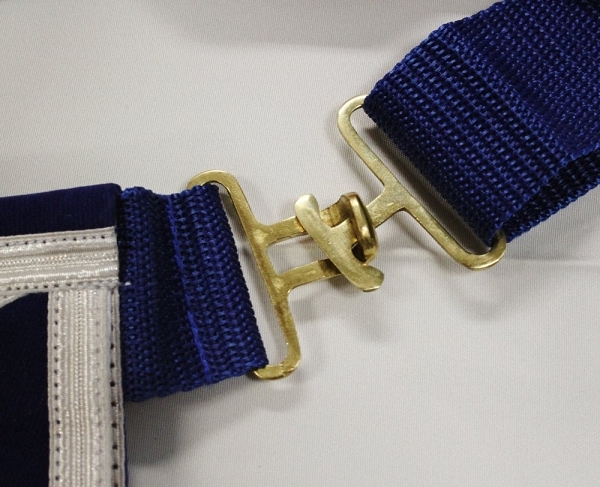 We listened to your requests and learned from the mistakes of our competitors and ourselves: we have re-designed our belt to a Nylon and Metal material that is built to last many times of use! And don't forget, we do CUSTOM aprons too, call us for more details!! -Nylon Belt Buckle: Extendable; fits most sizes. -Emblem Size: 3.50" X 3.50"